God always wants the best for us, and He is committed to showing us how to follow the specific plan He has designed for each of our lives. He wants us to listen for His voice to hear what He wants us to do and how He wants us to do it (Is. 30:19). Sometimes God gets our attention by making us restless (Est. 6:1-14). If you experience restlessness deep within—something you cannot quite identify—then stop and pray, “Lord, are You trying to say something to me?” Each time God was about to move me from one pastorate to another, I became very restless. God also gets our attention by using the words of others. The Lord gave a message both to young Samuel and to the old priest, Eli, through this method (1 Sam. 3:4-18). If several people in a short span of time begin telling you the same thing, then ask the Lord if He is trying to speak to you through them. 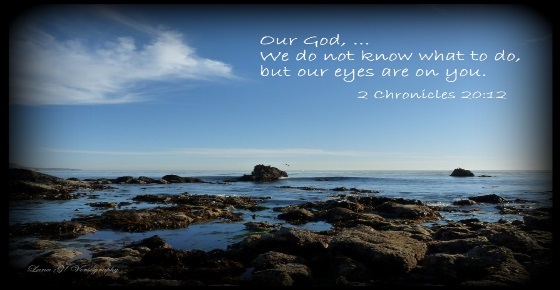 God has a wide variety of ways to help us take notice. God may bless us in an unusual way to gain our attention. Of course, if you are an overly self-sufficient person, the Lord may use some other method to get your focus on Him. But remember that no matter which method He uses, it expresses His love. Sometimes God will answer a prayer with “No.” Despite David’s prayers for God to save his infant son’s life (the child born through the king’s adultery), the boy died (2 Sam. 12:15-18). The Lord may remain silent to our prayers as a way of prompting us to examine ourselves. When the nation of Israel refused God’s instruction to take possession of the Promised Land, God judged the people for their unbelief. They quickly changed their minds and said they now desired to enter the land. But the Lord said no—it was too late (Num. 14:1-45). God got their attention through a tremendous sense of disappointment. In a similar way, the Lord may allow setbacks to keep us from charting our own course. Sometimes God will use unusual circumstances to get us to stop and listen. Moses saw a flaming bush that didn’t burn up. As he approached to investigate, the Lord spoke to Him from the fire (Ex. 3:1-22). You and I must learn to look for the presence of God in every circumstance of life. He leaves His footprints and handiwork all around us. God knows precisely what it will take to get our attention. In the time of the Judges, when “every man did what was right in his own eyes” (Judg. 17:6) the nation fell into idolatry and disobedience. God brought judgment through the Midianites, who devastated the land. Only when He took away every material belonging did they cry out to Him (Judg. 6:3-6). The Lord knew exactly what it would take to get their attention. When they did return to Him, He delivered them from their oppressors and blessed them. We should regard our tragedies and afflictions as reasons to inquire of the Lord, “What are You trying to say?” When King Hezekiah became prideful, God used illness to alert him to the problem (2 Chr. 32:24). Similarly, when Saul of Tarsus persecuted Christians, God struck him with blindness—a tactic that certainly got his attention (Acts 9:1-19). The Father always knows exactly where you are in your journey of faith and precisely what it will take to get your attention. So stay alert. Notice if any of these divine methods are occurring—or recurring—in your life. If they are, ask Him what He wants to tell you, and then listen … not simply to hear, but to obey. Published with permission from InTouch, Inc. Adapted from The Charles F. Stanley Life Principles Bible, © 2009.